AS the Islamist-in-Chief awaits with bated breath to sign off on “peace in our time” – duly backed up by a recent Iranian defector, a top aide to Iran’s President Hassan Rouhani – it must be understood, in relation to Obama Inc. and Iran, the “negotiations” have been little more than theatrical spectacles. Window dressing. Don’t ever forget this. NOT only that, but guess who is one of his chief adviser’s via said “negotiations”? A highly connected mouthpiece for the Iranian regime! Say what? As is said, the fix is in! BY the way, Sec Kerry has gone native, and not least of which because his son-in-law is Iranian. Secretary of State John Kerry exposed a secret that journalists and academics have been agonizing over for the past six weeks: the fact that his daughter has married an Iranian-American who has extensive family ties to Iran. “I am proud of the Iranian-Americans in my own family, and grateful for how they have enriched my life,” Kerry said in the official statement. NOT only that, since this site’s inception, mega alarm bells (seek, and you shall find) rang, and all indicators pointed towards this moment in time. But let’s use the following one (Dec. 2013) as an exemplar, in so far as one of the world’s most authoritative experts on nuclear doctrine, Professor Louis Rene Beres, gave this investigative journalist a special shout out (among many) to said effect, and this one was especially high on his register: “Iran, A (De Facto) Nuclear State: Israel’s Former AMAN Chief Concurs With Former CIA Head.” Them’s fighting words. FOLKS, who’s still shocked…shocked. After all, how many alarms bells had to be rung here and there? STILL, let’s dare not overlook the historical parallels to the run up to Hitler’s genocidal swathe, if any sense of history still counts among non-blinded and rational thinkers. “Peace for Our Time,” announced a proud Neville Chamberlain after placing the Czechoslovaks in Hitler’s foaming bite, one he relaxed only to spit threats of European war and anti-Jewish genocide. “Peace in our time” promised Barack Obama in his inaugural speech of 2013. History may not repeat itself, but it does rhyme. Obama prepares already the signature that will normalize the nuclear program of terrorist Ali Khamenei, ‘Supreme Leader’ (official title) of Iran, and would-be emulator of Hitler’s crime against the Jews. Santayana was right: lest we understand history we are doomed to repeat it. So let us interrogate this history and find the rhymes to grasp our moment: How could Chamberlain vault over public opinion to commit his diplomatic barbarities? Historians have answered this already. It wasn’t just the Times. Neville Chamberlain’s Conservative Party created, in the late 1920s, “ ‘a little intelligence service of our own’ ” that jerked the conservative press around with a clandestine bridle every bit as short as that employed in the totalitarian states. It was led by Sir Joseph Ball, Chamberlain’s most intimate friend, as documented in research published by R.B. Cockett in The Historical Journal. Ball began extending his control over the rest of the British press when the Great Depression called forth the so-called ‘national’ government, in truth conservative to the hilt.. Historian Frederick Marks points out in The Historical Journal that Franklin Delano Roosevelt projected in public positions quite at variance with his backstage dealings, producing a “gap between appearance and reality” that was “very wide indeed.” To British ambassador Ronald Lindsay, Roosevelt confessed that he would be the first to celebrate the success of British and French pressure on Czechoslovakia, but that he would be impeached if the US public came to know his opinion. Support for the ‘appeasement’ (is that what it was?) of Hitler was an Anglo-American, and not merely a British phenomenon. In our time US and British leaders invade Afghanistan and Iraq creating voids that Iran is quick to fill. Now they rush to negotiate with Iran that country’s development of nuclear weapons. In charge is Wendy Sherman, undersecretary of state, author of the deal that allowed North Korea her nuclear bombs and possessor of quite some gall for scolding the South Koreans who insist those bombs are unacceptable. And to all this, the respected press of our day, what does it say? On November 2014 the Economist confessed that “Iran is hard to fathom,” and that “journalists who have been able to obtain a precious visa still leave with a sense of uncertainty as few Iranians feel free to speak their mind.” Despite these limitations the British magazine, the most prestigious in the world, the most influential with ‘intelligent’ and ‘educated’ people, stated confidently that “The [Iranian] Revolution is over” and that “the country has unmistakably changed,” flooding its readers with statistics and anecdotes that speak to the supposed liberalism, modernity, and education of the Iranian population. However, the nuclear agreement will not be signed with the Iranian population but with the tyrants who rule it. In November 2014, when the Economist published said piece, those rulers were energetically financing, as they still do, terrorist groups with a genocidal and antisemitic ideology; prosecutor Alberto Nissman was still around to denounce with his own voice the Argentinian government’s cover up of the Iranian officials responsible for the terrorist attack against the Jewish community of Buenos Aires (85 dead and 300 wounded); and one could still hear echoes of Iranian ‘Supreme Leader’ Ali Khamenei’s July threat of “annihilation” against the Jewish State. Benjamin Netanyahu, prime minister of Israel, orated eloquently some days ago before the US Congress on the intentions of the ayatollahs and the dangers of signing with them. The Economist replied with firm support for Obama. As did the New York Times. Thus were we spoken to right before Czechoslovakia was thrown to Hitler. But that wasn’t (not exactly…) a free press. Have things changed? What does recent historical research reveal on the influence of the Western power elite over the media? These same intelligence agencies were granted explicit permission, in the National Security Act of 1947, to use ‘covert actions’ to corrupt foreign media. There is more than enough here for whoever sees in the press nothing less than Power’s megaphone. It was Chamberlain who celebrated Chamberlain’s policies; now Obama sells Obama. History does not repeat itself, but it does rhyme. We should take heed, because antisemites are dangerous to us all. 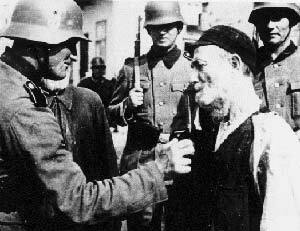 In World War II more than 54 million non-Jews lost their lives. For Hitler we were ‘subhumans’; for Khamenei, ‘infidels.’ Will the outcome be very different? IN the same manner in which the geo-political stage was pre-set for World War 2, make no mistake, so too this go around is heading towards World War 3. In fact, whatever doubts one had re his intentions – as to what HUSSEIN Obama has been up to – there should no longer even be a scintilla. For when one factors in the requirements – the geo-political fault lines – for Iranian hegemony (and this is the mullahs and HUSSEIN Obama’s end goal, aside from everything else), it became necessary to alight the entire Mid East (and parts of Africa) to effectuate their plans. None of the fires were happenstance. BASICALLY, a Sunni-Shia showdown had to take place, and the hyper-muscle of the Islamist-in-Chief was pressed into action to stir the ever-brewing cauldron of inter-Islamic/Arab struggle for regional (then global) hegemony. This was precisely what the so-called “Arab Spring” was about, followed up by the illegal thrust into Libya, Benghazigate. Precursors. NOW, for the newly initiated it becomes confusing because HUSSEIN Obama is Sunni and in deep sympathy with the Sunni Muslim Brotherhood. However, overriding factors are in play, and allowing Iran’s regime to gain nuclear weapons surpasses certain inherent fealty. 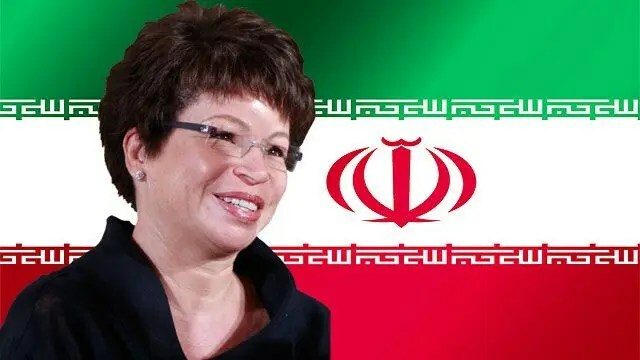 REGARDLESS, Valerie Jarrett’s Iranian roots pave his way forward, and she is his absolute right hand…left too. Therefore, rest assured, the west will soon be living under the shadowy threat of a nuclear-armed Iran. MIND you, PM Netanyahu bears partial responsibility for this nightmare, as repeatedly stated at several forums. Most recently, his onus can be found here. Indeed, he has been in power for years, and did little more than order certain counter measures to push back against Iran’s genocidal march, many of which will never (rightfully so) be known. NEVERTHELESS, when re-elected in 2009, had he brought to bear (knowing full well that HUSSEIN Obama would never stop Iran’s mullahs) Israel’s FORMIDABLE and multi-layered strike forces, that would have been 6 years less time for Iran’s centrifuges to spin, and said determinate action would have cut the wind out of both their sails, Iran’s and the Islamist-in-Chief’s. Adina Kutnicki: Wolff, before we review the dangers associated with the newly-formed Muslim-American party, it must be reiterated: traditional American allies are caught up in a horrifying spider’s web through their association with the Obama administration. Poisonous. Illustrative of said entangling, one has to internalize when it is in a nation’s best interests to align with a “best friend” and when prudence demands a “trial” separation, at least for the time being. Basically, PM Netanyahu, MIT smartie that he is, hasn’t figured out this seemingly simple calculus. Along this trajectory, through his joined-at-the-hip actions with Barack HUSSEIN Obama (don’t be distracted by their public tussles – as media grabbing as they are – that’s not where the action/collusion is) Israel now finds herself “involved” with Sunni jihadists, the likes of which include Al Qaeda, Al Nusra and ISIS! Yup. Trenchantly, there is a “quiet” war being fought on the Syrian side of Israel’s northern Golan border to capture key sites. It may very well blow up Israel’s Golan front. Currently, the struggle is between Assad’s henchmen and the aforementioned Sunni jihadists. These are the same “rebels” whom Obama Inc. has “surreptitiously” armed, ever since the administration entered into an absolutely illegal war in Libya. Its (hidden) basis was to arm Sunni terrorists to take over the region for the Muslim Brotherhood! Full circle. Resultant, instead of PM Netanyahu opting out of choosing between one Islamic devil over another (Assad’s forces are inseparable from Iran’s proxy pawns), thereby, reacting to whichever side illegally fires from Syria into Israel with resolute IDF firepower, Israel is now – like it or not – aiding those who abet Hamas. Ditto, Assad/Iran have been doing likewise. Assuredly, there are times when NOT choosing sides makes the most strategic sense. However, this is definitely not the case with the Kurdish issue. Alas, it was a relief that PM Netanyahu publicly stated his support for Kurdish independence from Iraq. As is said, even a broken clock can be right once in a while. Stipulated, sans a scintilla of a doubt, under PM Netanyahu’s missteps, the dangers to Israel have never been greater…. IN this regard, this week’s Israeli airstrike into Syria wielded a two-edge sword; a dual track. Yes, as critical as this investigative journalist is of PM Netanyahu’s penchant for spinelessness, this go around he exerted proper hyper-muscle and secured Israel’s national interests – finally. The advanced weapons were sent over, as DEBKAfile reported exclusively Sunday, after Russian President Vladimir Putin learned that the Obama administration and the Erdogan government were close to a final draft on a joint effort to activate a no-fly zone that would bar Syrian air force traffic over northern Syria. The Kremlin has repeatedly warned – of late in strong messages through back channels – that the establishment of a no-fly or buffer zone in any part of Syria would be treated as direct American intervention in the Syria war and result in Russian military intervention for defending the Assad regime. According to the US-Turkish draft, American warplanes would be allowed to take off from the Turkish airbase of Incirlik in the south for operations against Syrian warplanes, assault helicopters or drones entering the no-go zone. Thus far, Ankara has only permitted US surveillance aircraft and drones the use of Incirlik for tracking the movements of Islamic State fighters in northern Syria. The Obama administration was long deterred from implementing a no-fly zone plan by the wish to avoid riling Moscow or facing the hazards of Syria’s world-class air defense system. But Washington was recently won over to the plan by a tacit deal with Damascus for American jets to be allowed entry to help Kurdish fighters defend their northern Syrian enclave of Kobani against capture by al Qaeda’s IS invaders. However, the US administration turned down a Turkish demand to extend the no-fly zone from their border as far as Aleppo, Syria’s largest city, over which Syrian army forces are battling rebels and advancing slowly into the town. The no-fly zone planned by US strategists would be narrow – between a kilometer and half a kilometer deep inside Syria. However Moscow is standing fast against any such plan and objects to US planes making free of Syrian airspace, a freedom they are now afforded over Kobani. To drive this point home, the Russians delivered a supply of advanced anti-air missiles and radar, whose use by the Syrian army and transfer to Hizballah in Lebanon were thwarted by the Israeli air strikes Sunday. EXTRAPOLATING further – and despite the warning that Syria’s response would be clandestine and cause Israel “unimaginable harm” – the fact of the matter is that they never cease plotting to exert “unimaginable harm”. Israel is, as is said, damned if it does and damned if it doesn’t. But never mind. Its PRIMARY vested interest (by striking Syria, the transit route to Lebanon’s Hezbollah) is to ALWAYS keep advanced anti-missile hardware out of Hezbollah’s hands. In essence, these air strikes (and other clandestine operations) frustrate Iran’s proxy arm from causing grave damage to Israel. Significantly, said pre-emptive actions should be a no-brainer, even for Israel’s appeasement-oriented political leaders. Not only that, they are manifestly legal under international law, despite Russia’s (and Syria’s) shrill pronouncements before the U.N.’s anti-Israel gaggle of kleptocrats. Nonetheless, we live in very different times. Grotius, Vattel and those later jurists who were focused on the Caroline could never have anticipated the genuinely existential risks soon to be posed by a nuclear Iran. Understandably, the permissibility of anticipatory self-defense is far greater in the nuclear age than in prior centuries. Today, after all, it is easy to imagine, simply waiting impotently to suffer an enemy nuclear attack could be entirely irrational. Even suicidal. NOT to be lost in the discussion, this week’s strike assisted the U.S. military in its quest to block Russia from imposing a “no-fly” zone over Syrian airspace, and all that it entails. Resultant, it became a win-win to strike. CONCOMITANTLY, Israel’s leaders must steer clear of Obama Inc.’s “relationship” with ISIS and its attendant terror arms, thus, knowing when to “part company”! Sentient and rational folks can no longer deny the obvious: the Iranian regime, when they exhort Death to Israel and Death to America, is indeed gunning for both nations. Their genocidal war inexorably twins the “Big Satan” and the “Little Satan”. Factual. Indisputable. Take them at their exact words. This past Monday marked the 34th anniversary of the takeover of the U.S. embassy in Iran, leading to 52 Americans being held hostage for several months. Contrary to what many analysts thought, and despite the recent “thaw” and optimism considering rapprochement between Iranian authorities and American leaders, tens of thousands of Iranian demonstrators packed the streets outside of the former U.S. embassy in Tehran this year. Hundreds of thousands also demonstrated against Israel and the U.S. in other cities across the country. The protests were unprecedented in their scale and scope, reported as the biggest anti-U.S. and anti-Israel rally in years. According to Iran’s official media, millions of people participated in these protests and demonstrations around the country, the largest turnout in years. Additionally, the leaders of the Islamic Republic of Iran have designated Nov. 4 as a “National Day against Global Arrogance.” While this week, tens of thousands of Iranians shouted “death to America” and “death to Israel.” The burning of American and Israeli flags permeated throughout the cities. Furthermore, effigies of American President Barack Obama, Israeli Prime Minister Benjamin Netanyahu, and U.S. Secretary of State John Kerry were held up high by protesters…. SIMILARLY, when self-coined PA Arabs (in tandem with Hamas, their “bad cop” partners, and officially part of their terror entity) slaughter Jews, an imperative to destroy Israel, know that their hatred towards America is equally annihilatory. In fact, who recalls PA Arabs dancing and handing out sweets after 9/11/01 jihadists incinerated over 3,000 Americans under the banner of Islam? Their jihad has only gotten worse after years of perfecting their “art”. Think about it. SO the urgent questions before Israelis and Americans – and the west at large – are: what exactly does Barack HUSSEIN Obama’s backroom deal with Iran’s mullahs portend? and, at the same time, how is PA (jihadi) “statehood” fitting into this same impending prism, both jointly and separately? IN this regard, aside from Professor Louis Rene Beres, no one is more qualified to address these two synergistic global menaces. This too is a fact. And said qualifier is irrespective of his cornerstone at this site. Ominously, especially for Israel, Iranian nuclearization and Palestinian statehood are progressing at roughly the same pace. Although this simultaneous emergence is proceeding without any conscious intent or coordinated design, the cumulative security impact upon Israel will still be substantial. Plausibly, and in contrast to more usual geometric orthodoxy, the “whole” of this impact will be considerably greater than the sum of its “parts.” Expressed more precisely, the appearance of Iranian nuclear weapons and “Palestine” will be synergistic. For Israeli planners, of course, this unique and unprecedented threat should be treated with appropriate intellectual respect. In essence, and contrary to a long-prevailing conventional wisdom, Iran and Palestine do not represent separate or unrelated hazards to Israel. Rather, they delineate intersecting, mutually reinforcing, and potentially existential perils. It follows, unambiguously, that Jerusalem must do whatever possible to remove or diminish expected dangers on both fronts, and also at the same time. Facing Iranian nuclear missiles, Israel’s “Arrow” ballistic missile defense system would reasonably require a fully 100% reliability of interception. To achieve any such level of reliability, of course, would simply not be possible. Now, assuming that Prime Minister Benjamin Netanyahu has already abandoned any residual hopes for a cost-effective eleventh-hour preemption against pertinent Iranian nuclear assets – an altogether credible assumption, at this late time – this means that Israeli defense planners must look instead to deterrence. Because of the expectedly corrosive interactive effects involving Iranian nuclear weapons and Palestinian statehood, Israel will soon need to update and further refine its existing strategies of deterrence. In this connection, Israel’s leaders will have to accept that certain more-or-less identifiable leaders of these prospectively overlapping enemies might not always satisfy the complex criteria of rational behavior in world politics. In such improbable but still conceivable circumstances, assorted Jihadist adversaries in Palestine, Iran, Lebanon or elsewhere might sometime refuse to back away from contemplated aggressions against Israel. By definition, moreover, these irrational enemies could exhibit such refusals in thoroughly considered anticipations of a fully devastating Israeli reprisal. Sooner rather than later, and facing a new and incalculable synergy from Iranian and Palestinian aggressions, Israel will need to take appropriate steps to assure that: (1) it does not become the object of any non-conventional attacks from these enemies; and (2) it can successfully deter all possible forms of non-conventional conflict. To meet this ambitious goal, Jerusalem, inter alia, must retain its recognizably far-reaching conventional superiority in pertinent weapons and capable manpower, including effective tactical control over the Jordan Valley. In principle, such retentions could reduce the overall likelihood of ever actually having to enter into any chemical, biological, or nuclear exchange with regional adversaries. Correspondingly, Israel should plan to begin to move incrementally beyond its increasingly perilous posture of “deliberate nuclear ambiguity.” By preparing to shift toward prudently selective and partial kinds of “nuclear disclosure” – in other words, by getting ready to take its “bomb” out of the “basement,” and in carefully controlled phases – Israel could better ensure that its relevant enemies will remain sufficiently subject to Israeli nuclear deterrence. In matters of strategy, operational truth may sometimes emerge through apparent paradox. Israeli planners may soon have to understand that the efficacy or credibility of their country’s nuclear deterrence posture could sometime vary inversely with enemy views of Israeli nuclear destructiveness. However ironic or counter-intuitive, therefore, enemy perceptions of a too-large or too-destructive Israeli nuclear deterrent force, or of an Israeli force that is not sufficiently invulnerable to first-strike attacks, could sometime undermine this deterrence posture. Also critical, of course, is that Israel’s current and prospective adversaries will see the Jewish State’s nuclear retaliatory forces as “penetration capable.” This means forces that seem assuredly capable of penetrating any Arab or Iranian aggressor’s active defenses. Naturally, a new state of Palestine would be non-nuclear itself, but it could still present a new “nuclear danger” to Israel by its impact upon the more generally regional “correlation of forces.” Thereby, Palestine could represent an indirect but nonetheless markedly serious nuclear threat to Israel. Overall, the success of Israel’s national deterrence strategies will be contingent upon an informed prior awareness of enemy preferences, and of specific enemy hierarchies of preferences. In this connection, altogether new and open-minded attention will need to be focused on the seeming emergence of “Cold War II” between Russia and the United States. This time around, for example, the relationship between Jerusalem and Moscow could prove helpful rather than adversarial. For Jerusalem, it may even be reasonable to explore whether this once hostile relationship could turn out to be more strategically gainful for Israel, than its traditionally historic ties to the United States. Credo quia absurdum. At this transitional moment in geostrategic time, when Washington may need to align itself with Tehran and Damascus against Islamic State, virtually anything is possible. Louis René Beres (Ph.D., Princeton, 1971) is Professor of Political Science and International Law at Purdue. He is the author of ten major books, and several hundred journal articles, in the field. Professor Beres’ shorter opinion articles appear in many leading US and Israeli newspapers and magazines, including The Atlantic, US News & World Report, The Jerusalem Post, The Washington Times, and Oxford University Press. In Israel, where his current writings are published by the BESA Center for Strategic Studies, the Institute for Policy and Strategy, and the Institute for National Security Studies, he was Chair of Project Daniel (2003). Dr. Beres’ most recent strategy-centered publications were published in The Harvard National Security Journal (Harvard Law School), The International Journal of Intelligence and Counterintelligence, Parameters: Journal of the US Army War College, The Brown Journal of World Affairs, and the Israel Journal of Foreign Affairs. FROM the onset, let’s be very clear: no stone was left unturned at this site to highlight the genocidal goals of Iran’s mullahs, to the point of collaborating with a world-class resource to said effect. IN this regard, this investigative journalist has kept in close contact, for more than a decade, with Professor Louis Rene Beres. His contributions to all aspects of this global threat are duly noted – and gratefully appreciated – at this site’s “About” tab. My “go to” expert on all matters pertaining to international law, and a country’s right to anticipatory self defense – via preemptive strikes – is none other than Professor Louis Rene Beres of ‘Project Daniel.’ The working group’s original policy paper is found herein. He was Chair of the above strategic nuclear policy paper given to PM Ariel Sharon in 2003 – and subsequently briefed the report to President George W. Bush and to current Israeli Prime Minister Benjamin Netanyahu – in relation to Israel’s nuclear strategy in the face of Iran’s pursuit of WMD’s. He is a man of great integrity and humility. Lou, a heartfelt thank you for being my mentor. SO when this issue crops up at these pages, rest assured, it is with a deep understanding of the subject matter. But before we get to the latest “booms”, as well as the (inevitable/eventual détente) relationship between ISIS and Iran, let’s perform a recap. COME what may, the Jihadi-in-Chief is leading Iran to the WMD finish line. Yes, he is. The reasons are manifest and may appear convoluted, but they are no less true. WITHIN this quest belies his Iranian point woman, communist aligned Valerie Jarrett. One can be an Islamist AND a communist. Back in 2003, the most comprehensive report/analysis – in relation to the corresponding global menace – surrounding Iran’s race to nuclear arms status was hand delivered to both President Bush and PM Ariel Sharon. Six years later, with the genocidal program still in place, the report’s essence was requisite updated. These are facts. It was a commissioned report by the most acknowledged apolitical nuclear expert team, bar none. Therein lies its inherent value. In the often-unpredictable theater of modern world politics, a drama that so often bristles with apparent meaninglessness, decisions that rest upon ordinary logic may quickly crumble before madness. Here, dangers can reach even the most utterly portentous level. This is the aptly-dreaded point of convergence, when madness and nuclear weapons capability would coincide, fuse, or otherwise come together. Enter Israel and Iran. Soon, because not a single responsible member of the “international community” has ever demonstrated a determinable willingness to undertake appropriately preemptive action (“anticipatory self-defense,” in the formal language of law), the Jewish State may have to face an expressly genocidal Iranian nuclear adversary. Although improbable, a potentially “suicidal” enemy state in Iran, one animated by graphically precise visions of a Shiite apocalypse, cannot be wished away, or, capriciously, dismissed out of hand. Iran’s current leadership, and possibly even a successor “reformist” government in Tehran, could, at some point, choose to value Israel’s physical destruction more highly than even its own physical survival. Should this happen, the “play” would almost certainly end badly for all “actors.” In recognizably theatrical terms, the “director’s” command would be both unambiguous and immobilizing. Nonetheless, despite U.S. President Barack Obama’s disingenuous hope for “a world free of nuclear weapons,” Israel’s ultimate source of national security must inevitably lie in sustained nuclear deterrence. Although still implicit or ambiguous, and not yet open, or disclosed, this Israeli “bomb in the basement” could readily “crumble before madness.” In certain easily-imaginable instances, circumstances involving enemy “madness,” the results of failed Israeli retaliatory threats could ultimately be existential….. IN tandem, do take the time to read Prof Beres’s special Iran report featured at the U.S. Army’s Strategic Institute Publication, Parameters. BUT let us now turn our attention to Israel’s PM Netanyahu. FOR over five and a half years, since March 31, 2009, “Bibi” has been in charge of Israel’s ship of state. Within any rational discourse this is a monumental burden, unlike none other. He is, at this critical juncture in history, the guardian of the Jewish people’s thousands yr old – one and only – homeland. Patrimony. And as an American-Israeli (a nationalist Zionist, now living in Israel) there is little more important on this end. THAT being said, to remonstrate Israel’s PM before a world audience has always been a personal burden. An absolute shame and stain. Nevertheless, it is what it is. As such, let’s first recount his latest operational failure, and it will reveal why he has been incapable of ordering the complete pre-emption of Iran’s explicitly genocidal program, instead of piecemeal (delaying) actions here and there. Burying another brave son of Israel who died to protect his people and his homeland. Wolff Bachner: Much to our sorrow, the world is in even worse shape than the last time we spoke. Since your previous visit, Hamas managed to provoke another war with Israel, which gave all the Israel bashing bigots of the European Union the excuse they needed to rampage and riot with a truly disgusting display of virulent Jew hate. Adding to the misery, ISIS commenced their campaign of butchering and bloodshed, beheading thousands of helpless human beings as they tore through the Levant in the name of the new Caliphate. Certainly, we are witnessing what may be the beginning of the next clash of civilizations, but let’s narrow our focus just a bit and start our discussion with Israel, Hamas, and much maligned Operation Protective Edge. Once again, we see Israel’s so-called leaders caving in to pressure from foreign governments and ending the campaign to demilitarize Gaza and disarm Hamas before the job is done. What effect will this have on the people of Israel, and what will this ill-advised strategy allow Hamas to do to Israel in the future? Why would Netanyahu call off Operation Protective Edge while rockets are still raining down on Israel. Is this a sane military strategy? MOREOVER, how many toothless (and cartoonish) “red lines” can a leader use as credible threats, after which they mean less than the paper they are drawn on? Exactly. ON the other hand, what appears to be the case – as demonstrated with Stuxnet – he is signing off on temporary “setbacks”, in the vain hope Iran won’t go nuclear under his watch and regroup after the latest rubble is cleared. In a nutshell, he will pass the buck. The explosion that destroyed the Parchin site was massive. Various reports reveal that windows shattered up to 15 kilometers away. Satellite photographs backed up claims that the explosion was the result of an attack, and showed almost total devastation to the facility. Israel’s government declined to issue an official statement on the incident, but Prime Minister Benjamin Netanyahu in recent weeks had renewed his firm warnings that Israel would not accept a nuclear-armed Iran. A spectacular explosion on Sunday night outside Tehran took place deep inside the Parchin military base, where Iran produces crucial elements of its missiles and other munitions, raising new questions about whether the blast was an accident or sabotage. The explosion and resulting fire, which Iranian news organizations have described in only the most general terms, could be seen from apartments in Tehran and appeared to have destroyed several buildings. But it was distant from a part of the base to which the International Atomic Energy Agency has been seeking access for years, to investigate reports of experiments on high explosives that could have been used in nuclear weapons. The agency’s evidence about that activity dates back more than a decade, and that part of the base has been so bulldozed and reconfigured in recent years that inspectors concede it is doubtful there is much left to see or test if they ever get access. The explosion, according to satellite photographs from Airbus that were analyzed by the Institute for Science and International Security, took place in a densely built region toward the southern end of the base, in an area that appeared from past photographs to be littered with bunkers. The damage was reminiscent of pictures of a missile-development site 30 miles west of Tehran that was virtually destroyed during a test in November 2011 that killed 17 people, including Gen. Hassan Tehrani Moghaddam, the leading force behind Iran’s advanced missile efforts. REGARDLESS, those of sound mind don’t really believe that Israel’s current crop of leaders have the balls to FULLY thwart the Islamist-in-Chief’s push for a “deal” with Iran’s mullahs, whatever the costs to Israel and the west. Resultant, an all out strike on an admitted existential threat would entail going up against Washington’s dictates. And if past is prologue, as detailed within the above linked interview, a PM who couldn’t stand up to Barack HUSSEIN Obama’s demands to leave Hamas’s leaders alive (and their underground command and control structures intact), is certainly not likely to lay to waste, once and for all, Iran’s death program, even though we all know Israel has a multiplicity of strike forces to perform the hits in rapid sequence. 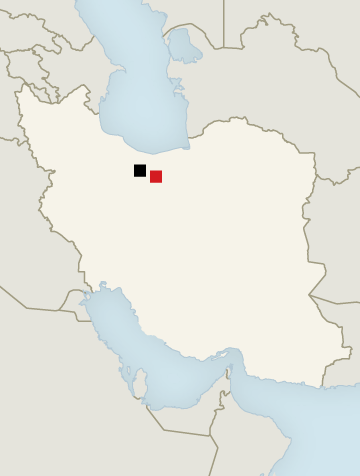 ASK yourselves: does anyone believe that whatever blows up in one part of Iran doesn’t have a mirror site, a redundancy, somewhere else in that vast country? On the other hand, if SEVERAL key sites are laid to waste then it will be (perhaps) decades before Iran’s mullahs catch up to speed. In effect, the open question is: will all the KEY facilities meet similar fates? MOST significantly, even though Iran’s Shia mullahs are battling ISIS (Sunni) jihadists for Islamic hegemony, the fact of the matter is that either will aid the other when it comes to wiping out Israel. So if ISIS gets its hands on dirty bombs, well, they will unleash them without hesitation. But if Iran requires assistance from ISIS to smuggle in a nuclear bomb into Israel, rest assured, they will more than eagerly cooperate in concert with one another. AND with the CIA backed operational/intelligence expertise of Clare Lopez, now an integral part of Washington’s Center For Security Policy – a top tier intelligence shop – connecting the regional and global dots, The Islamic State/ISIS/ISIL takes on a crystal clear focus, as does the apocalyptic visions of Iran’s mullahs. Hence, “A Lesson On The Islamic State” is a MUST view! WITHIN this scope of looming dangers and tribal grudge matches going on between the Shia mullahs and the Sunni ISIS, the reality is that Iran – as it stands -comes out the winner, even though there are booms going off here and there. CONCLUSIVELY, celebrating Parchin’s dust up for long-term effects is premature, but still very welcome news! 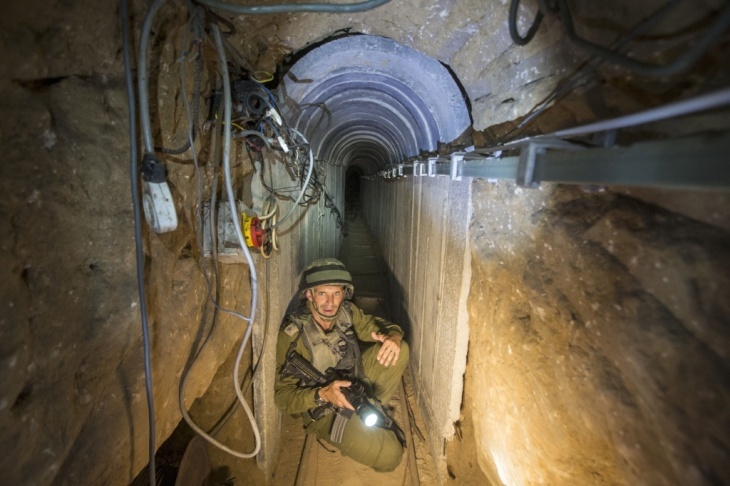 An Israeli army officer on Friday shows journalists a Palestinian tunnel that runs from the Gaza. AS a native New Yorker – now living in Israel – the following thought experiment is highly germane. Apropo. IMAGINE, if you will, living nearby the border between the east and west sides of NYC, somewhere in mid-Manhattan’s Fifth Avenue range, but your actual address is west of Fifth. Then, picture heavy-duty missiles flying out of the eastern demarcation into your western sphere, and for well over a decade. Hmm. Yet, in your mind’s eye, go a step further. Situate yourselves in another scenario: “wild west” east siders have upped the ante; digging tunnels into west side buildings, ever ready to cause more explosive terror! Which leader(s) in their rational mind would allow their citizens to “live” under such terrorizing conditions, ever fearful of becoming cannon fodder? Rhetorical. NOW, as previously demonstrated, Israel’s top leadership – the buck stops with “Bibi” – commit double crimes. The first tier deals with an absolute ILLEGALITY; negotiating – thus legitimizing – with Hamas, a designated terror group, even within Washington’s listing of terror groups! This is beyond dispute. Beyond the pale, even if masking such negotiations under political/diplo cover. Whom are they fooling? NOT the majority Zionist public, that’s for sure. A demonstration in support of the war in Gaza in Tel Aviv. SIGNIFICANTLY, time and again, Israel’s leaders negotiate “ceasefires/deathfires” with terror groups, be they Hamas, Fatah or Hezbollah. It makes no diff. And while said “ceasefires” aren’t worth the price of bupkes, the fact of the matter is not only are they worthless and exponentially dangerous – whetting their appetites for more of the same – they are ILLEGAL. Plain and simple…. Moreover, no proper system of law can ever permit any sort of compromise or accommodation by a government with criminal organizations, even, in the case of Israel and Hamas, one that might involve a somewhat less formal arrangement than the currently proposed cease-fire. It follows that Israel ought never to unwittingly prop up its criminal adversary in Gaza by agreeing to a cease-fire or similar “armistice”; instead, it should proceed immediately to do whatever is needed operationally, while simultaneously reminding the world that the pertinent conflict is between a fully legitimate sovereign state (one that meets all criteria of the Convention on the Rights and Duties of States, 1934) and an inherently illegal insurgent organization that meets none of these criteria, and that routinely violates all vital precepts of the law of armed conflict…. IN contravention of said illegality, Israel’s mentally besieged leadership charges forward; one “cease-fire” after another, in fact, feeding, fueling and supplying the enemy! NEVER ENDING, like drunken sailors on a sinking ship they lumber hither and on, attempting to find a life raft to latch themselves onto, instead of executing what must be done – SMASHING Hamas’s top leadership and command centers!! Alas, here they go again, even as Netanyahu yanks Jerusalem’s negotiating team – like yo-yos – back and forth from Cairo. BUT never mind…Hamasnicks have measured the mettle (tragically, quite correctly) of Israel’s leaders, as they barrage Israel with more missiles, even before the last “cease-fire” is due to expire at midnight on 8/19…and the next “cease-fire” is surely not far behind. G-d have mercy…save us from our derelict leaders! You may rightfully inquire: are Israel’s leaders irrational? have they truly lost their minds? DEBKAfile’s sources report an attempt by some Israeli officials to present the draft as incorporating a process which separates the humanitarian and security issues. However, it may be that Prime Minister Binyamin Netanyahu and Defense Minister Ya’alon are looking for a pretext to explain the concessions that were made for the sake of a ceasefire for an indefinite period – or else they are trying to ward off Egyptian-Palestinian browbeating for a deal. — Waiving demilitarization of the Gaza Strip and disarmament of Hamas’s rockets and terror tunnels at this point. — Lifting the blockade of the Gaza Strip – economically and by the establishment of ports. — Reversal of a government decision to abstain from negotiating the release of convicted Palestinian terrorists from jail, which the Israeli public will never accept. — Rehabilitation of the Gaza Strip before any steps are taken towards disarming Hamas. The danger of this waiver is already apparent in the announcement by the radical Popular Committees faction that it is not bound by any Hamas commitment to suspend rocket attacks. In any case, according to a Egyptian foreign ministry statement late Monday: Israel and the Palestinians have only agreed to a 24-hour ceasefire extension – i.e., until Tuesday midnight, for further negotiations. SO, now that the legalities are squared away, as well as their Pavlovian responses to “cease-fires”, Israelis (this blogger included) and onlookers are left in a dizzying state of suspension, incessantly wondering: when will their madness end?and where are they leading the nation of Israel? To PROLONGED war, that’s where! Most Israelis were stunned Tuesday afternoon, Aug. 19, when rocket fire suddenly erupted from the Gaza Strip against Beersheba and Netivot, after they had been lulled into a sense of false security by the suspension of Hamas attacks for 135 hours. 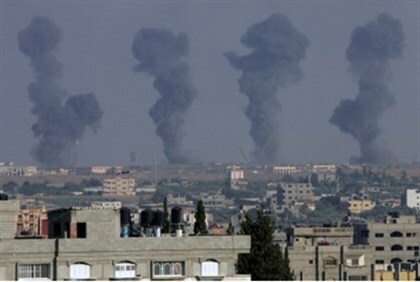 Prime Minister Binyamin Netanyahu and Defense Minister Moshe Ya’alon sent the air force straight back into action to bomb “terror targets’ across the Gaza Strip, and recalled Israel’s negotiators from the indirect talks taking place with Hamas in Cairo through Egyptian intermediaries. After a month of tough fighting and painful losses, Israelis were aghast to find themselves dumped back in the same old routine, which their leaders had vowed Operation Defensive Edge would end once and for all. By midnight Hamas had fired around 50 rockets in a steady stream across most of Israel, including Greater Tel Aviv and Jerusalem. DEBKAfile reports that, as recently as Monday, Aug. 18, a senior intelligence source asserted that Netanyahu and Ya’alon were satisfied with the Cairo talks, because their outcome would refute their critics, ministers and security chiefs alike, by bringing Hamas to its knees. Asked how this would come about, the source repeated the mantra heard day after day during the fighting: Hamas is looking for a way out of the conflict and wants to end hostilities, he explained. That is what we are banking on. AMAN chief Maj.Gen. Aviv Kochavi is believed by some cabinet sources to be the author of this prescription, to which the prime minister and defense minister have stubbornly adhered, against all the evidence to the contrary. They therefore held back from inflicting a final defeat on the Palestinian fundamentalists. ON this investigative journalist’s worst day, the above outcome could have been predicted. Clear as a bell. STILL yet, it is not as if a certain segment of Israelis residing on the southern border – particularly within the “Gazan belt” – don’t possess special standing in this life and death struggle to “cease”, or not, Israel’s “firepower”. Why? Well, having been terrorized with missiles for over a decade, for the most part, they relied upon the political leadership to do the right thing, whatever that meant. How did THAT work out? Truth be told, an unfathomable patient response. BE that as it may, that was then and this is now. Now that tunnels are under some of their bedrooms, kindergartens and what not…hmm…their patience has worn thin, to say the least. In this regard, over 60% of said residents FLED the area, declaring that they won’t return, unless the leaders SMASH Hamas’s terror apparatus for good! DEAR readers, juxtapose the spectacle of many thousands of Jewish residents of Israel’s southern belt fleeing for their lives – within the Jewish homeland, no less! – to the return of the scourge of anti-semitism throughout Europe (Islamic-Nazis gaining the aid of radical leftists and far-right fascists…video linked), as Europe’s Jews flee for their lives! Is this American-Israeli the only one who sees the craziness, the irony, of said dual flights? IN other words, while France’s Jews (and others) are running for their lives into the arms of the Jewish homeland – a land this blogger would give her life for – Israel’s leaders not only fail to protect Jews already living here, but, by dint of odds, will fail those who are fleeing into her arms! Orwellian. For the record, some of these French Jews (and other new immigrants) are encouraged by Israel’s Absorption Ministry to move to areas not far from Gaza! Manuel Valls, France’s prime minister said: “What happened in Sarcelles is intolerable. An attack on a synagogue and on a kosher shop is simply anti-Semitism. Nothing in France can justify this violence.”……. “I came because of anti-Semitism,” said teary-eyed Veronique Rivka Buzaglo, one of 430 immigrants who arrived from France the day before. “You see it in the eyes of people. I see it in everything,” she told HuffPost. 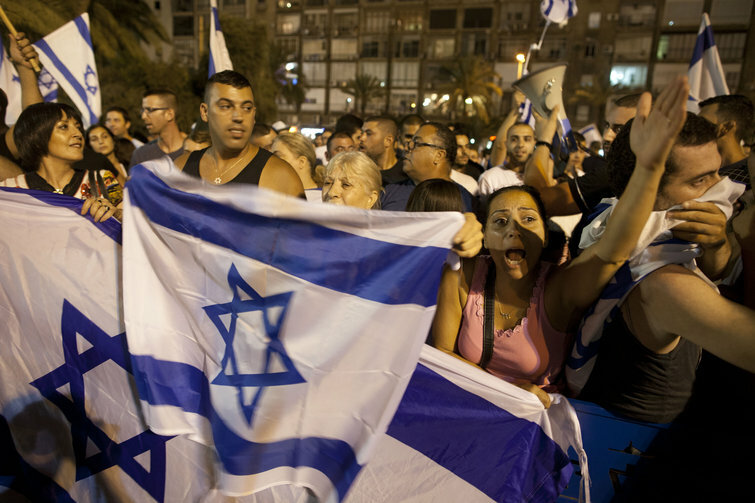 Buzaglo says nothing would have stopped her from becoming an Israeli citizen this week – not even the rocket sirens frequently blaring in the south of the country, where she plans to live. BASICALLY, one has to peer into ones heart of hearts and decide: are the words of Israel’s leaders meaningful, or just over-bloated hot air? Moreover, it must be recognized that not all bullsh-t is equal. Life and death. IN this regard, listen carefully to their words and see if they match their actions! Then, decide for yourself: what order of manure are they shoveling? UPDATE: Let’s just assert that public pressure helps…Zionists, the majority public, are getting restless…and this is one such indicator…may their heads roll…faster…faster…but it won’t happen without blowing up SHIFA…and Deif is just one of MANY top level targets still to blow up!! 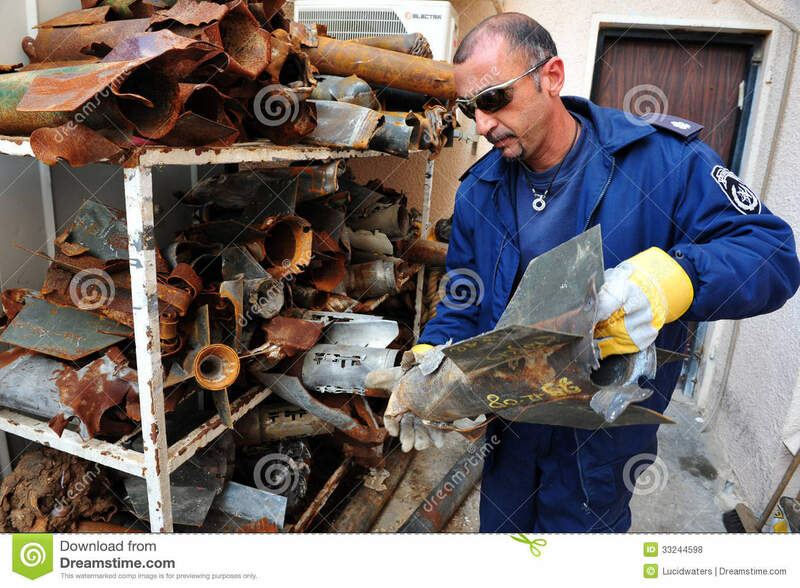 Hammering Hamas Chiefs With Pinpointed Intelligence New War Effort. AS always, pretending what is isn’t becomes the proverbial elephant in the room…the 600 lb gorilla…monkey on the back too. And as onerous as it can be within family confines – yes, “it be” – imagine how much more so it is when embedded within a nation’s belly, especially one as endangered as Israel. IN light of this week’s BELATED operation to deal with Hamas – strangely coined “Operation Protective Edge”…this American-Israeli prefers “Operation Pulverizer…Smackdown”…no matter…after hundreds of rockets/missiles have rained down in recent weeks, let alone over many years – little is more pressing than the oft misunderstood subject of “ceasefires”. They are the death of us. SIGNIFICANTLY, time and again, Israel’s leaders negotiate “ceasefires/deathfires” with terror groups, be they Hamas, Fatah or Hezbollah. It makes no diff. And while said “ceasefires” aren’t worth the price of bupkes, the fact of the matter is not only are they worthless and exponentially dangerous – whetting their appetites for more of the same – they are ILLEGAL. Plain and simple. The relentless war waged against Israel has absolutely nothing to do with land per se, and this is precisely why every insane concession, gesture and withdrawal offered by Israel’s (peace-obsessed) leaders has not elicited an expected reciprocal peace gesture, but paradoxically incites to additional jihadist behavior. And in a tangible realm it makes sense for Arabs/Muslims to become hyper-aggressive, particularly after each Israeli capitulation counter intuitively whets their insatiable appetites for more of the same. So as a result of the leadership’s desperate attempt to allay international pressure, thus abating another dangling sword, they have become wedded to peace delusions. A double whammy. 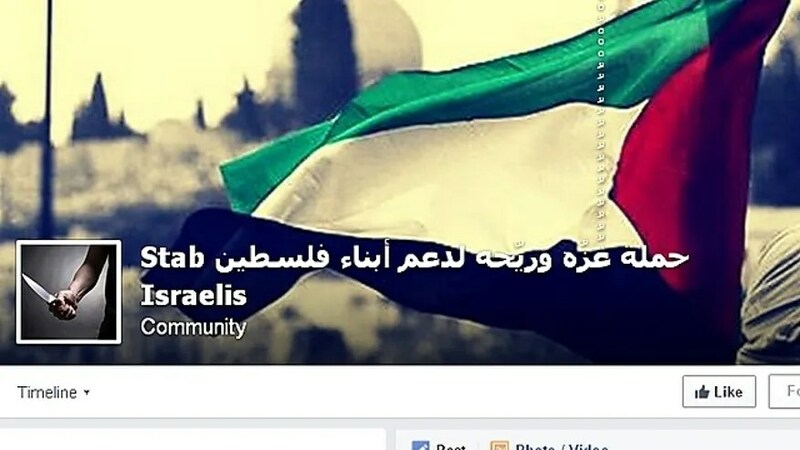 Never mind the fact that murderous jihad hasn’t ceased within Israel from time immemorial. But logic escapes many of Israel’s “leading lights”, except for a handful. At the top of the list heralding Israel’s “intellectual warriors” stand Dr. Martin Sherman and Professor Paul Eidelberg. My “go to” expert on all matters pertaining to international law, and a country’s right to anticipatory self defense – via preemptive strikes – is none other than Professor Louis Rene Beres of ‘Project Daniel.’ The working group’s original policy paper is found herein. He was Chair of the above strategic nuclear policy paper given to PM Ariel Sharon in 2003 – and subsequently briefed the report to President George W. Bush and to current Israeli Prime Minister Benjamin Netanyahu – in relation to Israel’s nuclear strategy in the face of Iran’s pursuit of WMD’s. He is a man of great integrity and humility. Lou, a heartfelt thank you for being my mentor. It follows that Israel ought never to unwittingly prop up its criminal adversary in Gaza by agreeing to a cease fire or similar “armistice”; instead, it should proceed immediately to do whatever is needed operationally, while simultaneously reminding the world that the pertinent conflict is between a fully legitimate sovereign state (one that meets all criteria of the Convention on the Rights and Duties of States, 1934) and an inherently illegal insurgent organization that meets none of these criteria, and that routinely violates all vital precepts of the law of armed conflict. In any conflict, the means that can be used to injure an enemy are not unlimited. It follows that no matter how hard they may try to institute certain self-serving manipulations of language, those who would identify the willful maiming and execution of noncombatants in the name of some abstract ideal – any ideal – are always misrepresenting international law. Whenever Palestinian insurgents (Hamas; Fatah; Popular Front for the Liberation of Palestine; Islamic Jihad, it makes no difference) claim a legal right to use “any means necessary,” they are attempting to deceive. Even if their corollary claims for “national self-determination” were in some fashion legally supportable, there would remain fully authoritative limits on permissible targets and weapons. While it is true that certain insurgencies can be judged lawful, any such permissible resorts to force must nonetheless conform to the laws of war. Even if incessant Palestinian cries of “occupation” were reasonable rather than contrived, any corresponding claims of entitlement to oppose Israel “by any means necessary” would remain unsupportable. Earlier, on November 29, 2012, the Palestinian Authority (PA) had been upgraded by the U.N. General Assembly to the status of a “nonmember observer state,” but significantly, the PA has since declared itself nonexistent. On January 3, 2013, Mahmoud Abbas formally “decreed” the absorption of the “former “PA into the “State of Palestine.” While this administrative action did effectively and jurisprudentially eliminate the PA, it assuredly did not succeed in creating a new state by simple fiat. Leaving aside Abbas’ illegal refusal to follow the Palestinian Arabs’ binding obligation to negotiate full sovereignty directly with Israel, the evident criteria of “nonmember observer state” also fell far short of expectations of the only authoritative international treaty on statehood. This governing document is the Convention on the Rights and Duties of States (the “Montevideo Convention”) of 1934. This expectation is explicitly and emphatically true for the United States, which already incorporates all international law as the “supreme law of the land” at Article 6 of the U.S. Constitution (the “Supremacy Clause”), and which was intentionally formed according to the principles of Natural Law. For the Founding Fathers of the United States, of course, these principles had already been “born” at Sinai. IN furtherance of the above legal application, Israel’s leaders, by negotiating with terrorists (and releasing them from jail! ), commit treason, as evinced within Israel’s internal laws! Yes, they do. Impairment of sovereignty or integrity of the State. 97. (a) If a person commits an act liable to impair the sovereignty of the state with the intention to impair that sovereignty, then he is liable to the death penalty or to life imprisonment. (b) if a person commits an act liable to remove any area from the sovereignty of the state or place it under the sovereignty of a foreign state with the intention to bring that about, then he is liable to the death penalty or to life imprisonment. A year after my report of June 2, 2008 – on June 14, 2009 to be exact – PM Benjamin Netanyahu, in a speech at Bar-Ilan University, endorsed the creation of a Palestinian state in Judea and Samaria, and did so without Knesset or public debate. If (former) MK Arieh Eldad could say “[PM Ehud] Olmert’s offer to yield the Golan Heights to Syria is nothing less than treason,” what shall we say of PM Netanyahu’s offer to yield Judea and Samaria to the Palestinian Authority? Is it any wonder that Israel today is verging on a state of anarchy? CONSEQUENTIALLY, in light of continuous rocket/missile barrages – more accurately, blitzkriegs – on southern Israel, one has to stand up and shout unequivocally: today’s incessant barrages – responsible for over a million of Israel’s citizens running into bomb shelters – are the poisonous fruits of the absolutely illegal “ceasefire” from 2012! Then, as always, PM Netanyahu “ceased” Israel’s firepower during “Operation Cast Lead” in 2008 (and in 2012 during operation עַמּוּד עָנָן, ʿAmúd ʿAnán, literally: “Pillar of Cloud”…as derived from the Bible…aka Operation Pillar of Defense…this is NOT for nothing…know your Bible well…), pulling the troops back both times, as they closed in on victory!